What a busy month it has been! The year started off slow but now the months are flying by. 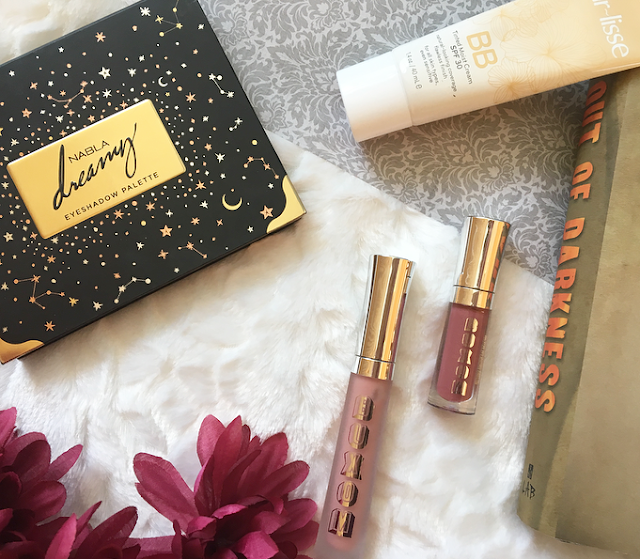 As always, I have several products, movies, TV shows and books that I have been loving over the past month! Purple shades are some of my favorite colors for the eyes, so I've loved reaching for this since I bought it last month! The metallic shades in here are absolutely gorgeous and there is a good variety of looks I can get from this palette. Definitely worth the splurge! This is the only base product I took with me to Mexico and I've been using it a lot even when I returned. It has great coverage for a BB cream and the shade matches me perfectly. I only wish there was a better shade range! Lip gloss is back, everybody! 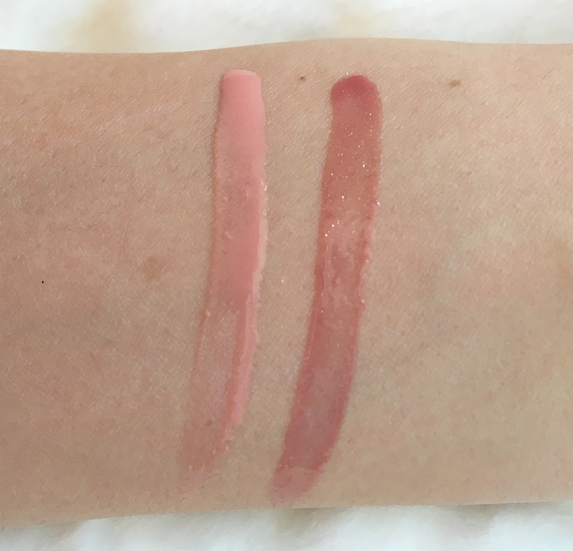 My liquid lipsticks have been pushed to the back of my lipstick drawer in favor of lip glosses, and these plumping glosses from Buxom have been my favorite lately. I have two of the most popular shades, White Russian and Dolly, and I love them both. White Russian is a pale pink and Dolly is a slightly shimmery mauve. I've been wearing them a lot alone and on top of other lipsticks. The plumping effect is not strong or painful but it feels like a nice, cooling tingling sensation. We were writing screenplays in one of my classes at university so we decided to read the screenplay for Get Out, which has won a lot of awards. I loved the screenplay and immediately wanted to watch the movie, which is so good! It's kind of a horror/thriller/comedy about a black man named Chris who goes to meet his white girlfriend's strange parents. I haven't finished the second season of A Series of Unfortunate Events yet, but I love the second season so far! This is a really well-made Netflix series about three orphans who must constantly escape from an evil man that is trying to steal their fortune. I've been reading the books as well but I might actually prefer the show! I love how it goes more in detail about the secret organization and Neil Patrick Harris is really funny. The young actors in it are so talented, too. I read this for my Young Adult Literature class last month and I have some mixed feelings about it. It's a fantastic book and I was so invested in it, but it was also incredibly sad and disheartening. It's set in the 1900s in Texas and follows Naomi, a Mexican teenager, Wash, a black teenager, and Naomi's twin half-siblings Beto and Carrie. It follows the events before and after an elementary school explodes and is based on a real historical event. Definitely don't read it if you only like happy books, but it really was amazing! I would love to hear what you've been loving this month! 15 comments on "April Favorites "
The Purlisse BB Cream is brilliant! I remember loving it a couple of years back. I haven't tried anything by Buxom before, but I think that might have to change soon! The Nabla palette is gorgeous, beautiful shades in this one. Rose Gold and Metal Cupid are stunning shades!! Ooh that Nabla palette looks gorgeous! I also am loving the Dolly lip gloss as well. Good choices! I have been loving lipgloss this spring! I really want to try some of these.